I always have a bottle of St. Germain in my bar. Not only is the bottle beautiful, but it is an incredibly versatile liqueur that is always fun to work with. 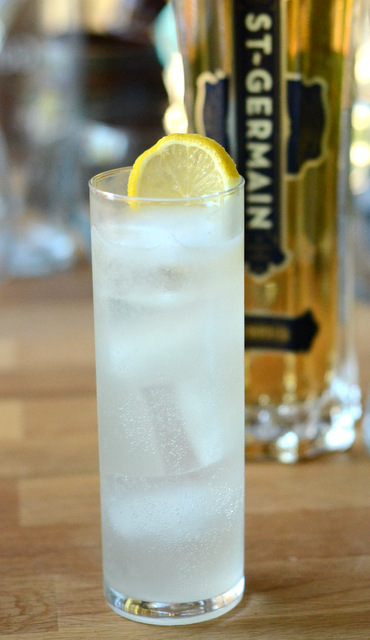 This Elderflower Collins is a simple drink that is a great way to show off the liqueur. This cocktail is incredibly refreshing, with a nice balance of sweet floral flavors and herbacious, citrusy gin. While it can definitely cool you down on a hot summer day, it can also give you a taste of summer on a dull winter one. You can also change the profile of the drink by using different types of gin. The Botanist, for instance, is going to give the drink a much lighter character than a London Dry style gin. 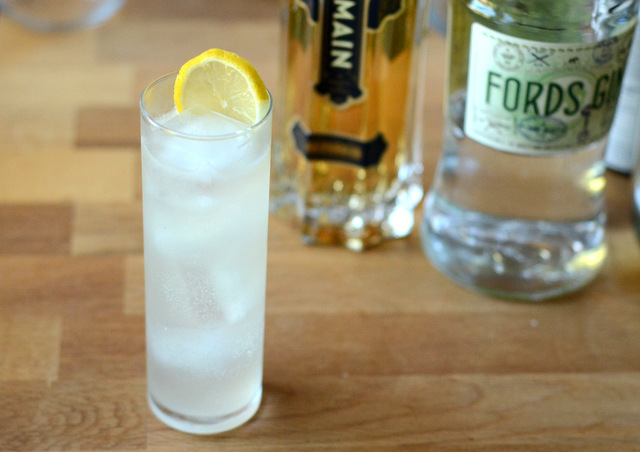 I used Ford’s Gin in this collins. It has some distinct citrus and coriander notes that work well with the fresh lemon juice and give the drink a real depth of flavor. Pour all of the ingredients into a shaker full of ice. Shake and strain into a collins glass filled with ice. Garnish with a lemon wheel.